From Meredith to Mommy: The Perfect Fit is Out There! The Perfect Fit is Out There! I've finally found our "perfect fit" math curriculum (for now, anyway), but I'm struggling with finding the same for language arts. So when I got the opportunity to review one, I jumped all over it. I mean, history tells me it probably won't be a perfect fit, but my optimism wonders if it just might be "the one". 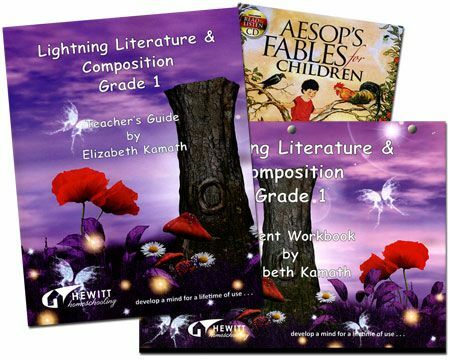 I have heard many good things about Hewitt Homeschooling‘s Lightning Lit series, so when the chance came to review a set, I chose Grade 1 Lightning Lit Set. I swear, I approach our personal hard to find personal curriculum like a blind date. I'm totally optimistic that this might be the last time I ever have to do this, and I'm totally willing to put myself out there, no matter how hard I need to try. Madison is incredibly tricky when it comes to language arts. Her memory, both aural and visual, is phenomenal, and her early reading was almost entirely focused on sight words. Phonics bugs her. Basic LA programs are too easy for her, but when I push her up a level, she struggles. She's not high or low. She's weird. (And, ironically, because of this, perfect for homeschooling). But finding a curriculum is like searching for an needle in a haystack. 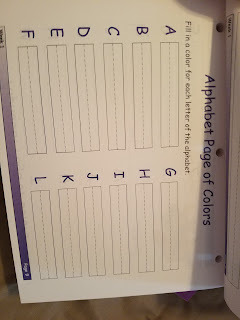 Lightening Lit is a complete LA program, but NOT a phonics program, and that actually worked well for us. It uses books - real books - not "easy readers" or passages in an anthology. Students read a book and are expected to work through comprehension and writing activities from it. It doesn't teach a student how to decode. It teaches them how to read. A point to note: I'm not confident I chose the right grade level for this point in the year. 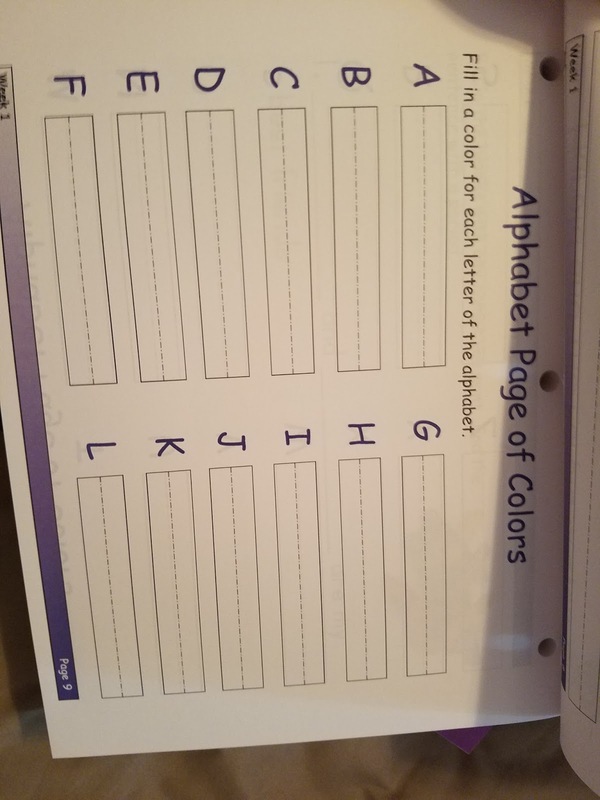 I was nervous to use second grade, but honestly, for this program, first grade was a bit too easy. Even with this grade level struggle, we used it to solidify what she knew. Yes, it was reinforcement, but that's not a bad thing. Luckily, all the books required - classics and generally well respected children's lit - we either owned or were easily able to get from the library. In addition, students study one Aesop’s fable a week. 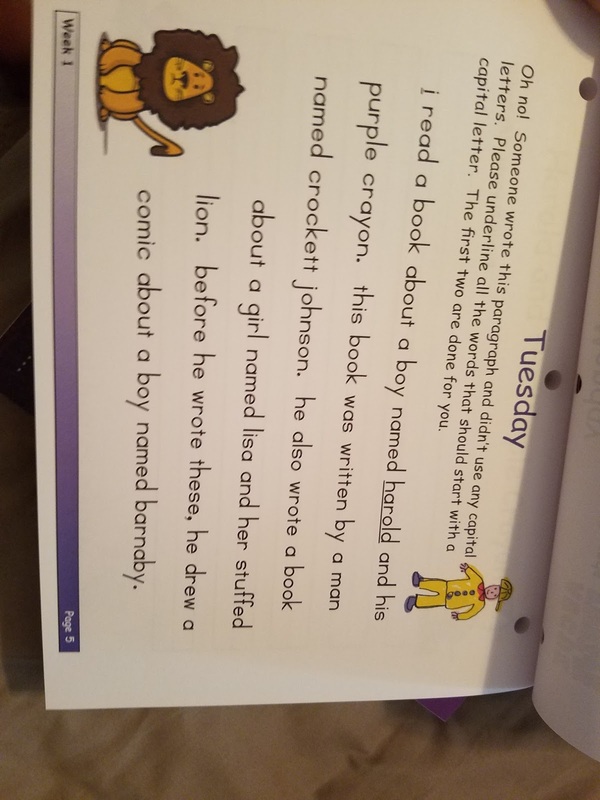 If you aren’t using a specific vocabulary program, Grade 1 Lightning Lit offers dictionary pages in the back of the student workbook. Each week, students should include five to ten new words that they learned during the week through the program. The Grade One curriculum has 36 weeks of lessons. There are assignments for four days a week. Friday is a day to catch up, take off, or do other activities to extend out the program. (There are suggestions for extension activities for each week in the teacher’s manual.) We generally school three-four days a week, so this worked for us. Can a first grader truly handle this much reading? Yes. More specifically, yes, because it's not about the decoding. It doesn't matter if they need help. Shared reading, as well as parent reading, are permissible in this curriculum. Generally speaking, Madison could handle pretty much everything the first few weeks threw at her. When the texts got more complex, we shared the load. I'm anxious to try Madison with the second grade version of this curriculum this fall. 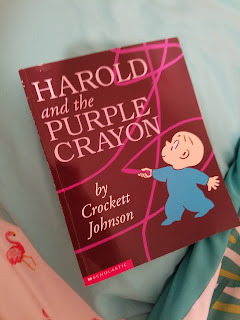 I was an early reader, but like Madison, my memory carried me more than my actual reading skills. I really like how this curriculum forces her to dig deep. To write, to use grammar, to pull character traits, to summarize, and to truly understand and comprehend on a deeper level than answering basic recall questions.